I swear the last One Room Challenge JUST ended, but I can’t say I’m mad that it’s back so soon! It’s one of our favorite parts about blogland, and so far we’ve been able to participate in 4 challenges! 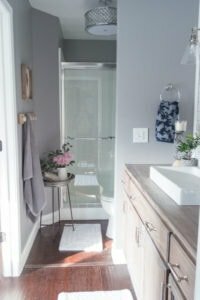 (And they may just be the only fully done rooms in our entire house, but who’s counting) We updated our main bathroom, our guest bedroom, went a little non-traditional with our garage, and this spring we finished our master bath. 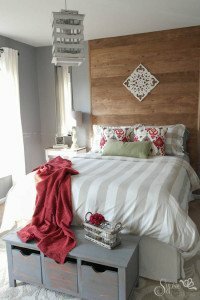 Since we’re all excited and jumped right on in, let’s back up for a second and explain the One Room Challenge (ORC) for anyone who’s scratching their heads right now 🙂 It’s a 6 week series hosted by Linda at Calling it Home, where amazing designers and bloggers transform any space of their choosing in 5 short weeks. Today we’re kicking it off with our plans for the space, and 5 weeks from today we’ll be sharing our reveal, so we hope you’re up for following us along this crazy yet stressful yet so rewarding journey! After we moved in, the room looked decent for a short time. Nothing crazy design wise, but at least some fresh paint and somewhat organized and uncluttered using old furniture from our past homes. And, drumroll please, here’s the “real life” photos. Not so proud of those pics, but we have a plan to fix it! 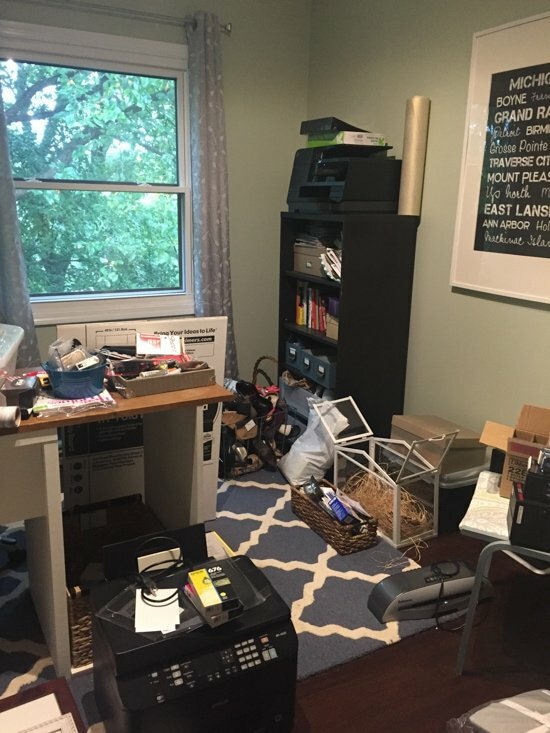 Just like our garage, we have so many projects going on, that without proper organization the place turns into a disaster. VERY quickly. Now for the fun part – our inspiration for the project! 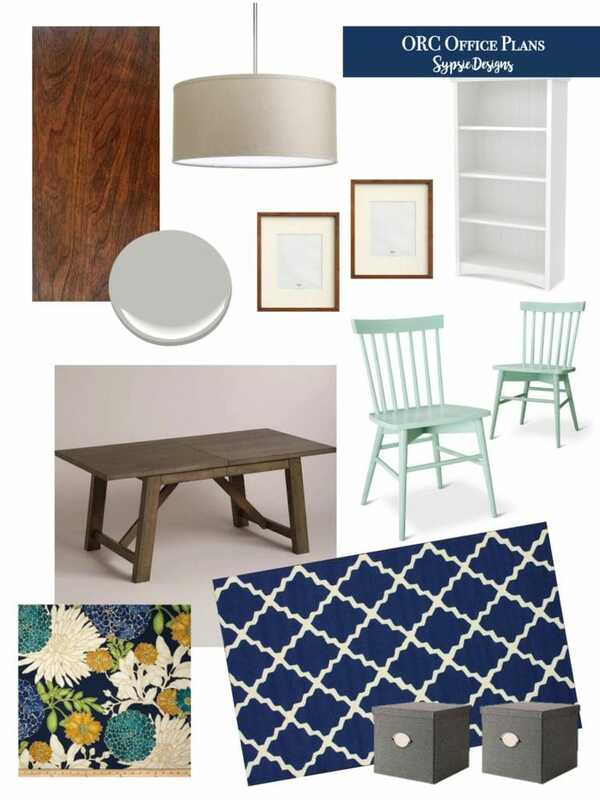 We’re picturing a huge custom farmhouse table in the center, a full floor to ceiling built-in shelving unit in the nook to the right, and texture and patterns all throughout. Color is generally something that I struggle with in decor (hence my attempt at light green walls previously), but I’m excited to test those limits with this room! An office should be an inspiring place that’s cozy yet uncluttered, and I’m hoping that neutral walls with some new seating, colorful patterned curtains, new crisp white trim and fun decor should do just that. The shelving unit is going to be the most functional portion of the room, and I can’t wait to fill it with all of our supplies currently cluttering up the space, and of course new storage! 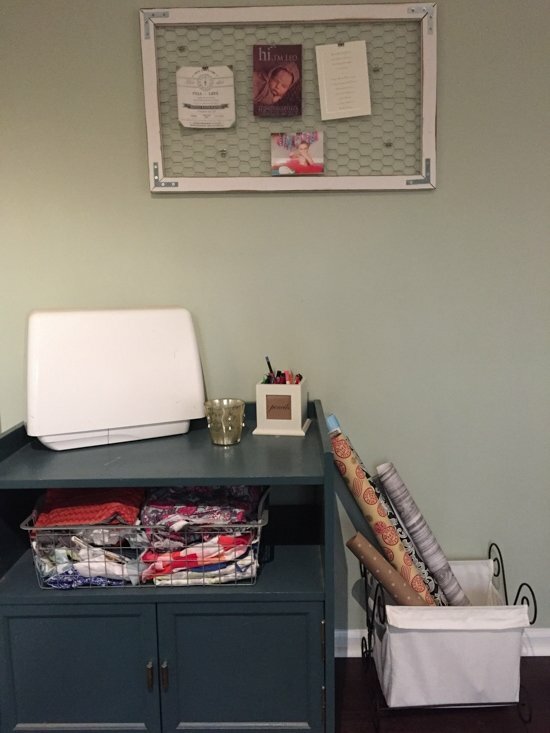 Plus, I have a secret plan for a fun “gallery” slash feature slash organization wall. Hopefully all goes to plan! Okay, that’s enough for this week 🙂 Next week we hope to have a nice clean slate with everything cleaned out, painted and some new trim work started! 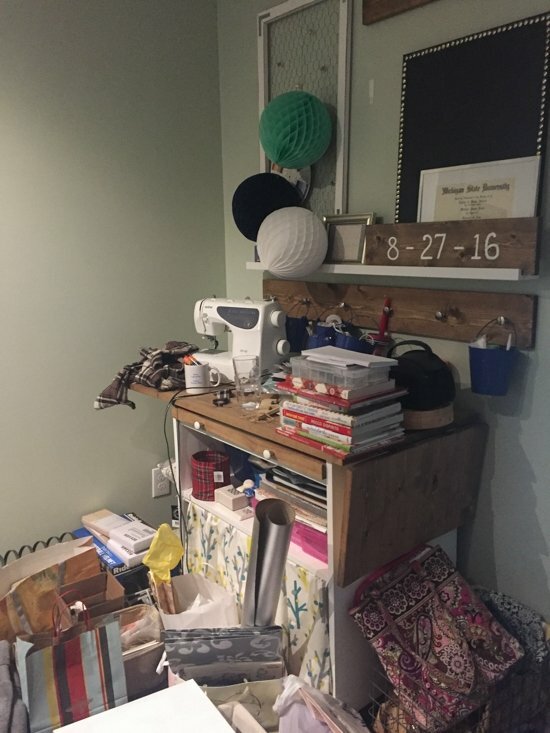 Real life photos are my favorite… and when you do the afters, they only look that much better 🙂 I love your ideas for the space. Your rooms are always some of my favorites. Good luck! You are too sweet! Thanks Erin! We love your makeovers as well! Love the real life photos! It’s going to be a great transformation! Looks great, I love the “real” photos and cant’ wait to see the after! 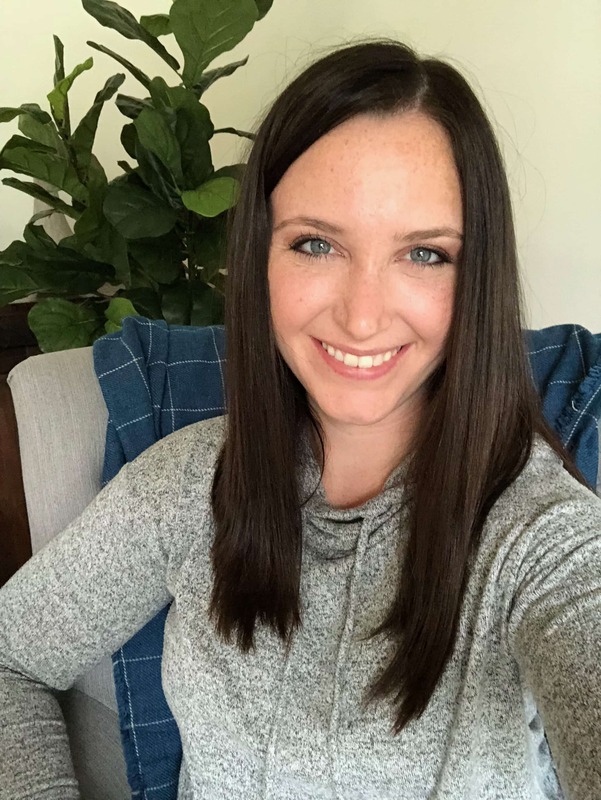 I can relate to your before photos SO MUCH! Looks like we both have a lot of office clear out happening this weekend 🙂 I can’t wait to watch your space transform. Jodie, do not feel bad about those before photos, I’ve got plenty of them! But that’s why we’re doing this after all, right? 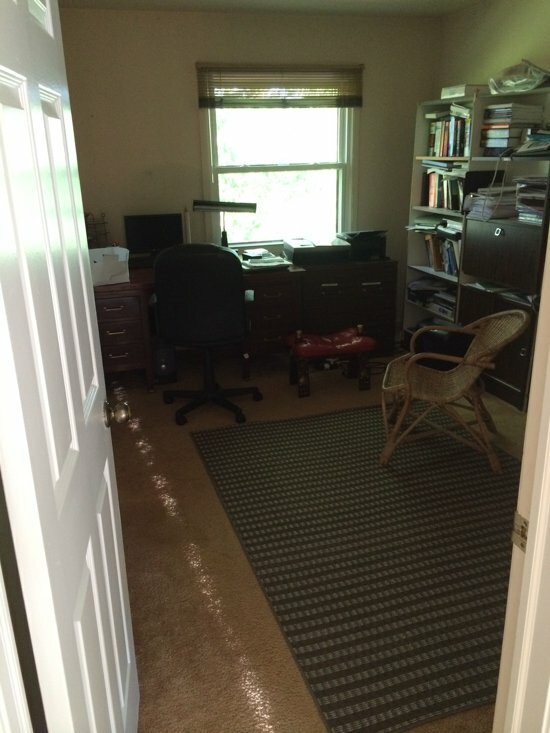 I’m working on an office too, so I’m sure I’ll be getting some inspiration from you as we go along! Thanks so much Lynn! Can’t wait to see how everyone’s space is coming along this week 🙂 You’re totally right about the before’s being the reason too! Love love love these design plans. That rug! That fabric! (or is it wallpaper??). And all the crisp and fresh white and wood. Amazing – can’t wait to see it come together! LOVE this plan!! That rug!! That fabric! (or is it wallpaper??) It is going to look amazing! Thank you! We can’t wait to see it come together 🙂 It’s actually sample fabric for the curtains, but now that you mentioned wallpaper I think we may need to revisit that idea! Hi! 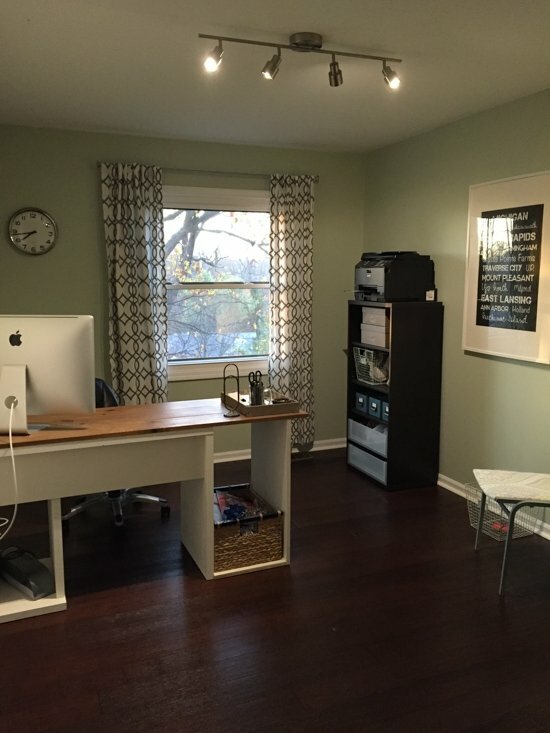 I’m doing my home office also… I love your before pix! I’m glad that I’m not the only one with real life craziness happening in the office! 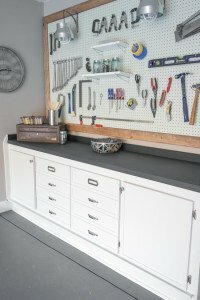 I can’t wait to see what you do with your space! It’s going to look great! I love the patterns and colors! Thanks so much Karrie! 🙂 Best of luck on your office as well! 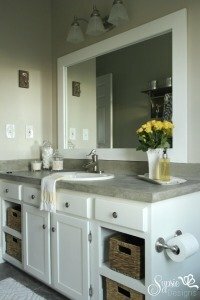 Very clean and cheerful. Love the mint chairs! Thank you Rosanna! We just clicked “order” on some mint chairs and can’t wait to see how they look!